We offer three extremely durable mattress choices in multiple sizes. Ask us about our additional products such as linens, janitorial supplies, and personal care kits. Our newest collection is our Contract Laminate Collection! Laminate with durability and a fresh new look. Geared towards contract use of hotels, conference centers, group homes, and more. Speak with a member of our sales team today. Jess Crate Furniture is designed to withstand the heavy use and abuse that commercial facilities demand, all while reflecting the beautiful wood grain and classical styles seen in residential settings. This product has been known to last 10, 15, even 20 years in the field with daily use by students, campers, families, children, and pets. We have many repeat customers, as well as, customers who hand down their furniture to friends and family. We additionally offer replacement parts and cushions so that you can continue to use the furniture you have come to love throughout generations. Jess Crate refinishes with a piece of sandpaper, brush, and a can of stain. We can customize our products to be compatible to other brands of products that you thought were now non-existent. To help you save money and avoid the cost of complete replacement bedrooms, we can come out, measure, and tell you what you have and match it, allowing you to utilize your existing furniture. Once you have chosen your furniture, choose your fabrics and finishes! 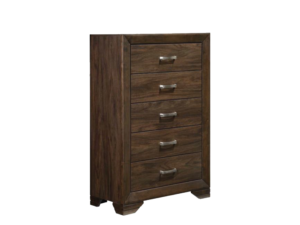 We provide a wide variety of options to customize your furniture to fit your taste and room. Because we own our factory, you will get the best prices without compromising on quality, and all of our wood furniture is made in the USA. Our knowledgeable, in-house sales representatives are here to provide you with outstanding customer service from start to finish. Each piece of Jess Crate Furniture is handcrafted in our North Carolina factory. With over twenty years of experience, our craftsmen know the skill and attention to detail for each piece of furniture. Jess Crate Furniture is made from the Southern Yellow Pine tree, harvested from the most densely covered forest in North Carolina. Our pine is dried to our specifications of less than 10% moisture content for added stability, durability, and long life. Furniture panels are edge-glued in our own laminating plant with a premium wood glue. During sub-assembly, each piece is secured with screws, glue, and nails. Afterwards, edges are routed for attractive water-based lacquer finishes. Our sanding and finishing teams go over each piece by hand to give a smooth custom six-step finish. 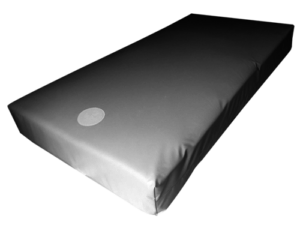 Cushions are constructed of high-density polyurethane foam. 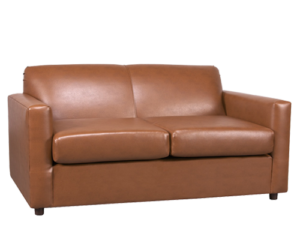 Zippered upholstery materials are available in a variety of styles, colors, and materials, all hand-sewn for a custom fit. More trees are planted than are harvested each year here, which creates and maintains resources for future generations of wildlife preservation and recreation. Our stains and lacquer finishes are completely water based. They have no harmful effects on the environment outdoors or indoors. It was 1982 and Barbara Silver was working as the Vice President of Cannon Mills, the largest towel manufacturer in the world. On the flip side of this coin was Steven Silver, a linen purchaser for Garden Textile. Both were masters of their craft, Barbara with her eye for design and natural leadership skills and Steve with his passion for business and fiery sales ambition. One could only assume it would be inevitable that these two titans of the linen industry would meet by natural causes but a sales rep at Cannon Mills decided to jump the gun. After introducing the two of them, love at first sight took its course and they were married 6 months later. Thus began the start to not just a happy marriage, but a most profitable business partnership as well. Combining their respective skills and experience in the linen industry, they opened their own place of business called “Jenny’s Interiors” (named after their newly born daughter, Jennifer) in Philadelphia, PA. Together the business flourished. Their skill sets complimented each other like satin on silk sheets and the company thrived. Barbara handled the operations while Steve prospected and managed accounts. Their customers loved the selection, the quality, and the genuine experience of doing business with the Silvers. After years of success, expansion was inevitable. Jenny’s Interiors became not just a place for linens, carpets and blinds, but also served as a furniture distributor. Their current customers loved the fact that their favorite vendor was becoming a one-stop shop and prospective customers were lining up at the door. In 2006, their North Carolina based furniture supplier who made the expansion possible, Jordan Lumber, was on the verge of closing its doors. Because Barbara and Steve were such a big client and had such a great relationship with Jordan Lumber, they presented them with the opportunity to keep the factory open by buying them out. The decision was an easy one, and thus gave way to Jess Crate Furniture on August 9th, 2006. 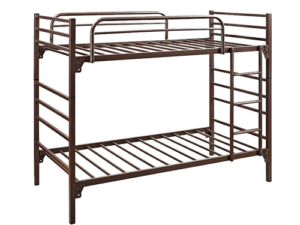 Fast forward to present day and Jess Crate is a proud manufacturer of high quality, handcrafted furniture servicing dozens of industries such as camps, college dorms, firehouses, correctional facilities and many more. 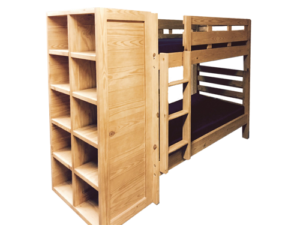 Because we both manufacture and distribute all of our own furniture we are able to provide high quality products at industry leading prices. All of this was made possible by Barbara Silver, Steve Silver, and of course, the salesman who introduced them back in 1982. Located in Mt. Gilead, North Carolina stands a 45,000 square foot factory that employs over 20 full time, dedicated employees. The hard working men and women of Jess Crate Furniture begin their day by unloading tons of southern solid yellow pine from the dense forests of North Carolina. The furniture grade lumber must contain no more than 10% moisture content. A higher moisture content will be sent back immediately. At the Jess Crate Factory, there is a standard of excellence that must be upheld day in and day out. It is that standard of excellence, that level of craftsmanship, that dedication and attention to detail that gives us the right to call ourselves the industry leaders in heavy duty furniture manufacturing. Once the lumber passes quality inspection, it is sent to the cutting station. Here the wood will be finely cut into various shapes and sizes to accommodate everything from dining room tables to ladder-end bunk beds. After the lumber is cut, it is taken to the routing station. At the routing station, the wood will be cut and chiseled so that no sharp edges remain. All of our products have smooth, radiant edges and that is thanks to the workers at the routing station. As much as we love to boast about the durability of our furniture, we pride ourselves on our safety methods as well. With the wood cut and the edges round and smooth, the next step is the sanding. The wood will be sanded again two more times after this stage but for now, each individual piece is put into a 6 foot wide machine called a wide belt sander. Now that the first stage of sanding is complete, it’s time to assemble the furniture. Depending on the product, the wood will now either be stapled, nailed, or glued together – sometimes a combination of all three methods is used. 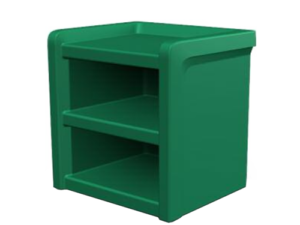 All assembled items will endure a vigorous strength test to ensure maximum durability. After the furniture is assembled, it’s time for another sanding. However, this time it will be hand sanded instead of going through the wide belt sander. The reason for this is because now that the product is fully assembled, every detail from here on out has to be carefully done by hand. With the 2nd sanding complete, the furniture is now taken to the stain booth. The stain booth will spray a water based stain across the furniture. The most commonly used stain is Aged Honey but the colors of the booth are completely interchangeable. The staining is a two-step process. Now that the first stain is complete, it’s time to sand the furniture for the third and final time. Much like the 2nd staining, this will also be done by hand. The purpose of sanding after the first stain is because the first stain is merely a base. In the final sanding, every aspect of the wood must be accounted for and be as smooth as possible. Once this is confirmed, the product is taken to the staining booth for the final time. Now that the 2nd stain has been applied, the product is basically complete. It’s time to add the finishing touches. The lacquer station is where the custom lacquer finishes are carefully applied the furniture. It is a timely procedure but it is also well worth it, as the lacquer finish adds a more distinguished and polished look to the finished product. With the furniture assembled, sanded, stained and lacquered, it will undergo another quality inspection before being loaded onto the truck and delivered to another one of our valued customers.